Raised by the East Malling Research Station and released about the same time as Jupiter, but somewhat overshadowed by that variety at the time. For picking from early September to November, the blossoms have good frost tolerance. Good, compact growth and suitable for growing everywhere. 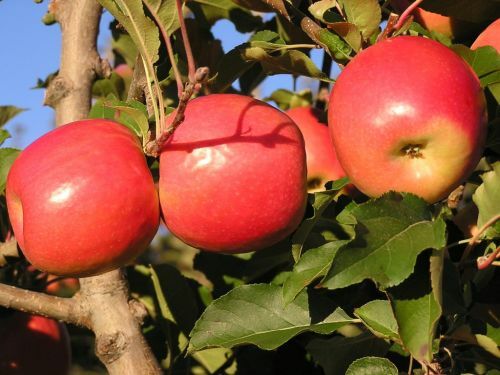 The fruits are bright red on a yellow background, and the flesh is crisp and juicy with an excellent texture and flavour. An easy to grow variety. Ideal pollinators are: Fiesta, Redsleeves, Greensleeves, James Grieve etc. jester is proving to be a superb apple for garden culture.